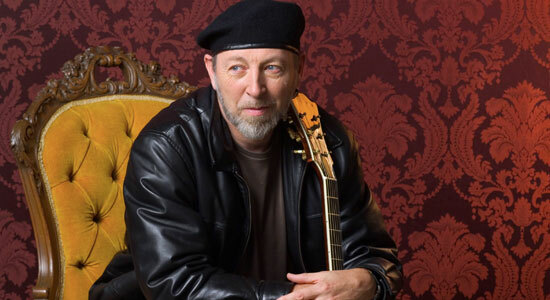 Richard Thompson has taken the concept of celebrated obscurity to new levels over the last four decades. As such, his unwieldy catalog has never really lent itself to the “greatest hits” format (never mind that he hasn’t enjoyed anything resembling a legitimate hit). Walking On A Wire: Richard Thompson (1968-2009) (Shout! Factory) may be the closest any compilation comes to reining in his all-encompassing creative reach as songwriter and guitarist. The four-CD boxed set covers every phase of his career so far. From his ’60s stint with seminal folk-rockers Fairport Convention to his critically fawned-over duo albums with then-wife Linda to his 20-plus years as a solo artist, no Thompson album goes unrepresented. In the process, the full scope of his varied stylistic wanderings is evident, whether it’s rock, jazz, rockabilly, classical, movie scores or live recordings. Naturally, it helps immensely that Thompson himself was heavily involved in the project—and rest assured he wouldn’t have it any other way. MAGNET caught up with Thompson at home in Los Angeles as he prepared to hit the road in support of Walking On A Wire. 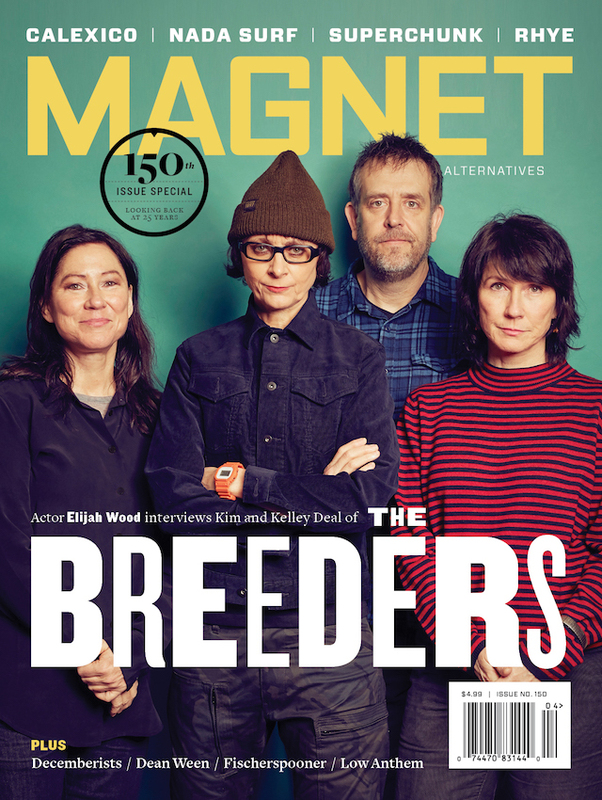 MAGNET: Forty years of Richard Thompson on four CDs. How does it feel do have your entire career thus far condensed to 71 tracks? Thompson: It’s always a bit arbitrary. One would like to think that one is more than a mere box—unboxable. But a box is good enough for now, anyway. It’s sort of a sample of what you can do. How did you go about the song-selection process? It’s really Shout! Factory’s, and I had veto power and made some suggestions. I’m not sure if I’d be comfortable trying to do my own selection. I don’t even know what I’d put on it. I might pick stuff that’s obscure, which is not what record companies want to see. There has to be an interface between you and the public, and you have to accept that sometimes what you think isn’t necessarily accurate. You’ve been called a prolific songwriter. Yet, in light of your prodigious output, you’ve been quite successful in stressing quality over quantity. I try to be discriminating. These days, I try to write less and really mean everything that I write—to make every song count. I’d like to think that I’m a better craftsman now. As for inspiration, who knows? Over the years, you’ve been equally praised as a guitarist and a songwriter. Which gives you the most joy? I think of myself primarily as a songwriter, and I try to bring the other skills into the songs. If I’m any good as a guitar player, it’s more as an accompanist and occasional soloist than as a virtuoso. But you don’t have to be a virtuoso to be good. You’ve managed a certain iconic status while not necessarily having to endure the many annoyances that come with superstardom. I’d imagine that, at this stage of your life, you’re OK with that. But was it always that way? It’s really about playing music. I always thought the other stuff was incidental. It’s not something you can hang onto; it’s an elusive thing. It can come and go very quickly. But if you can be a craftsman and stick to what you believe in, the work you do is rewarding enough. And if you’re busy, you shouldn’t have time to think about the other stuff. If we were to gauge your so-called commercial success, most of it came in the ’80s and ’90s when you were with Capitol. How do you look back on that period? It was fun; I was having a good time in the studio. I suppose, being on a major label, there was a little more pressure to produce something that was radio friendly. They’re also more America-friendly, a little less British folky. Just about every album I’ve ever done is uneven—there are some good tracks and bad tracks. I read that you’re working on an orchestral piece. It premiered in June at Penn State. It’s a commission by the International Society of Bassists—you probably didn’t think there was one, but there is. It’s a piece that features the double bass. It’s a song cycle, about 70 minutes of music. It’s called “Cabaret Of Souls.” I worked on it for about a year. I’d never done orchestration of that size, so it was a lot of work. Apparently, you’ve been less than thrilled with some of the recent reissues of your older albums. To me, the best reissues are the ones without all the bonus tracks. There are reasons you leave songs off a record. I’d rather it didn’t happen. Any plans on writing a book? The pieces on your website are a real delight. If everything is going well, you can write a song in 10 minutes. Writing a book, you have to set aside six hours a day for two years, then you have rewrite it again if it’s crap. I don’t know if I want to get into that world. I’d be happy writing a play. You’re touring behind the new boxed set. Um, yes. It’s hard to say when the last tour ended and the next one begins. It’s basically been the same tour since 1967.